NHA is thankful for the donations of James & Glenda Krapf and Claudio & Shelly Lopez who provided this semesters school fees for both Lucy and Ann Marie of St. Laurence House. Their school fees, books, uniforms and all have been provided through NHA. 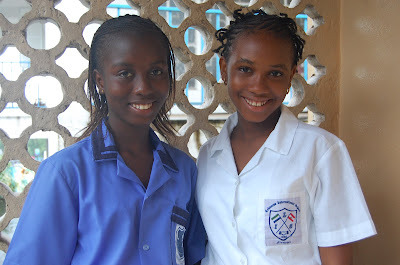 Lucy is planning to become an accountant and Ann Marie, a lawyer. They are both in schools that develop these careers. 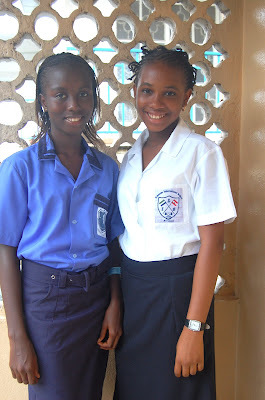 This is the first time that the girls have been seperated; attending different schools. 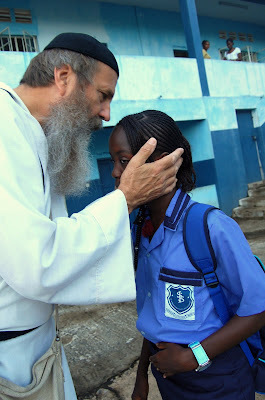 Photos above show the girls each getting their First Day of School blessing from Fr. Seraphim.